Download the latest final full version of Lightning Launcher APK which was updated on December of 2016, and enjoy all the new additions and improvements! 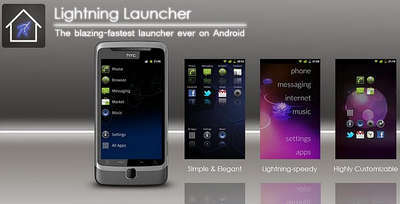 PierroX's Lightning Launcher (extreme) combines ease-of-use with powerful features and visual designs. Not to forget its lightening speed so you don't have to worry about it hogging your Android memory. But, what it excels at as a launcher is its full customizability options that probably no other launcher can come close to. - Fully unlocked paid version, no ads, no bs. - Change pretty much anything on your desktop. - Highly efficient navigation with as many customizable desktops as needed. - Grid layout to align apps or free positioning for any app or widget. - Pinned items and docked elements. - Tasker integration, lock screen, and more to discover on Google Play or by using the app.